Forget Toxic Chemical Drugs, Can A Healthy Diet Really Help Us Cure Our Acne? If you struggle with acne, you've probably tried a number of treatments. However, you don't necessarily need to use expensive skin creams to treat your acne. You can also treat your acne with a healthy diet. Can a healthy diet cure acne? While your the food that you eat won't completely rid you of acne, it can be a big help. There are a number of foods that can make acne worse. If you learn which foods you should stay away from, you'll be able to keep your skin clear. Some of the foods that can worsen acne symptoms include sugar, milk, fast food, and other types of junk food. You'll also want to cut high-glycemic foods from your diet. These foods can cause your blood sugar to spike, which can cause skin inflammation. If you eat low-glycemic foods, you won't experience these kinds of flare-ups, which means your skin will remain clean and clear. Many diets are lacking in omega-3 fatty acids. If your diet doesn't have enough of this essential nutrient, you're going to want to change that. You should try to eat things like walnuts, fatty fish, and flaxseed oil. 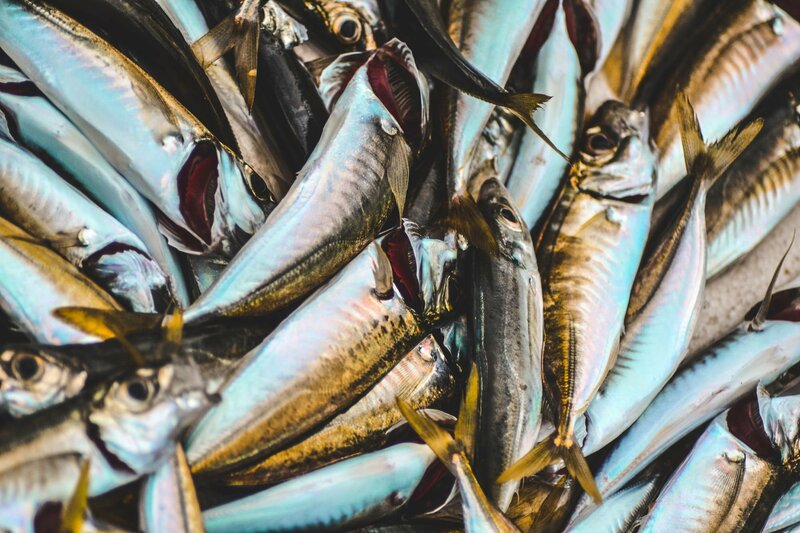 If you're not a fan of these kinds of foods, you'll want to look into taking some sort of omega-3 supplement. If you're able to get all of the omega-3 fatty acids that you need, you'll be able to keep your skin from becoming overly inflamed. Environmental stressors can cause a lot of damage to your skin. Thankfully, you can help your skin fight against free radicals if you add more antioxidants to your diet. Berries are a fantastic source of antioxidant, especially blueberries and raspberries. 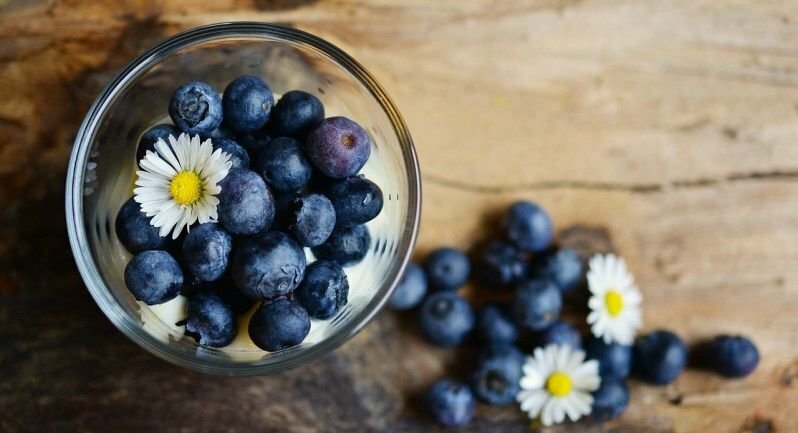 If you add more berries to your diet, you'll slowly see your skin improve. In addition to eating the right kinds of fruits, you may want to try drinking some more green tea. Green tea is rich in antioxidants, and it can be very beneficial to your skin. Drinking green tea won't just clear up your acne, but will also give your skin a healthy and natural glow. 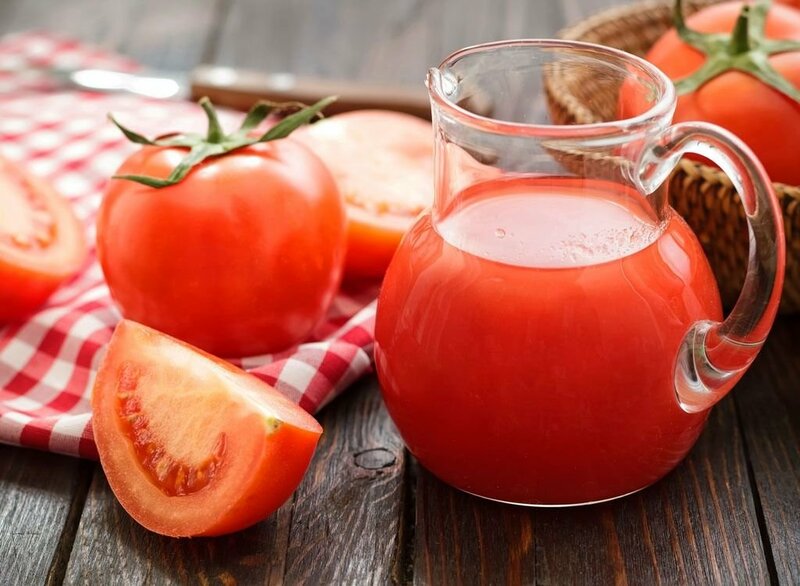 Beta-carotenes can help your skin in a number of ways. Foods that contain these nutrients can reduce the amount of oil in your skin, along with having good anti-inflammatory properties. Many fruits and vegetables are rich in beta-carotene, with dark leafy greens being one of your best options. Greens give your body plenty of beta-carotene, and they also provide you with valuable phytonutrients. Some studies have shown that adding zinc to your diet can reduce acne symptoms. With that said, these reports have found that zinc supplements can't deliver the same results that foods rich in zinc can provide. There are all kinds of foods that contain zinc. From oysters to wheat germ to veal, you should be able to find plenty of ways to get the zinc that you need. Start taking in more zinc, and you'll see a real difference in the quality of your skin. Probiotics are great for your digestive health. They're also a fantastic way to improve your skin health! Eating probiotics can lead to a reduction in oxidative stress, which can lead to clearer skin. 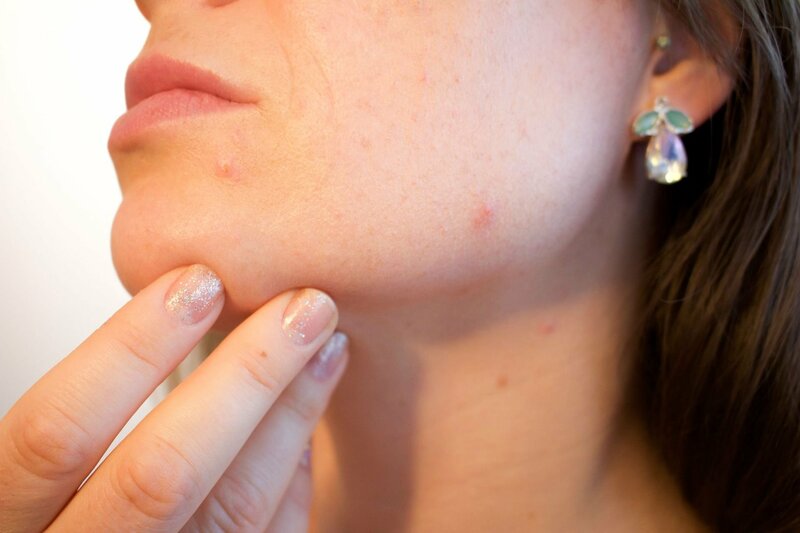 Recent studies have suggested that gut microbes are one of the primary causes of acne. If you have a healthier gut, you'll have healthier skin too. There are plenty of ways to add probiotics to your diet. Try adding yogurt, kefir, miso soup, kombucha, and other probiotic-rich foods to your diet. Taking toxic chemical drugs end up just masking your acne when the real problem is within your body, typically within your gut. Incorporate the above foods into your diet and see how you acne clears and your skin smooths. It is no secret that a top quality diet plan has many benefits. It is amazing that people still ignore the ideas and select diet programs which are unhealthy and dangerous. The information on audio nutrition and diet practices is extensive and lots of organizations are dedicated to disseminating this information. A number of these groups disagree on exactly what a good nutritional plan resembles, but all of them agree on the importance of following sound nutritional practices. Below are ten reasons for adhering to a good diet plan. Diabetes, and especially Type 2 diabetes, is increasing rapidly. Obesity is the primary cause of the disease. A fantastic diet plan that attacks obesity using whole foods and audio nutrition can help knock out this disease until it begins. Those men and women who have the disease must focus their diet programs on quality nutrition and support for their bodies. Cardiovascular disease is an outbreak. It's the number one killer of elderly adult males in the United States. It has many causes, but among the more common ones is poor supplements, resulting in obesity. Obesity is an important factor in cardiovascular disease. Combating it using a good diet plan will help cut down the odds of developing heart disease, and lower the severity if it develops. 3. Lose that undesirable Fat. A fantastic fat loss program will allow you to shape your entire body. A plan that focuses on the foods, and how they operate together to stimulate the body's responses can allow you to lose the excess fat. If done correctly, a good diet will also help maintain lean body, keeping the shape and contour of the body. Obesity has been linked to several cancers. The link between many additives in processed foods and cancers has been questioned repeatedly. Research has found that some of them may indeed result in cancer. Any time an organ or system is taxed it has the potential for altering, or mutating, some cells which could lead to a lot of problems. A fantastic diet plan will not overwork any system and will provide nutritional support for the body. 5. Overall health improvement and longevity. Aside from the disorder addressed previously, many other diseases and conditions may be linked to obesity. Circulation problems, respiratory ailments, musculoskeletal problems, and hormonal equilibrium issues can be caused, or at least worsened, by being obese. Dropping just 10 pounds may improve many of these ailments. Improving overall health also contributes to an increase in productive years and total life span. A strong nutritional diet plan may result in an improvement, and at times even modification, of a few of those conditions. There are many other reasons to seek out a fantastic diet program. Improving day to day functions, fitting back to these clothes in the back of the closet, improving sexual purpose, or simply to like the individual looking back at you in the mirror, are good reasons. If you discover yourself with a little additional cushion around the middle, it may be time to look for a diet plan that can help you shed the extra fat and keep them off. If you are considering a healthy diet to eliminate weight quickly, look no more. This guide is going to show you precisely how to begin a healthful diet to burn fat and find that slender body you desire. Should You Use Popular Diets or A Diet Program? One thing which lots of men and women wonder is that for locating a diet to eliminate weight if they use a well-known diet or some form of strategy from a specialist? When many diets are extremely practical for dieters and supply a lot of helpful info, I recommend something different. I advise that you learn nourishment, the way to count calories, what healthy foods are and exactly what unhealthy foods really are, and general understand about how to eat healthier. This sort of learning will probably be more successful long term since you are going to find out to eat correctly and may carry this into a lifestyle. So many men and women consider diets as temporary items when in fact they're permanent and lifestyle modifications. To effectively shed weight and keep it off you needs to alter their eating habits and stick together. When focusing on losing weight, the diet plan to eliminate weight quickly ought to cut calories. But following this, the wholesome foods should nevertheless be consumed. I will not go into healthful foods to eliminate weight within this manual as I've gone through this in other posts and it requires a great deal of time. What I shall do is provide you a very simple way of discovering healthy foods. Generally, I eat foods which are easy to consume if found in character. What I mean is that if the food you wish to eat isn't hard to eat and does not require being processed at a factory or surplus cooking methods, then it is OK! This very simple method gets rid of a good deal of foods that most men and women consume. I suggest using this strategy small initially when getting started. Simply use it on half the foods daily, for instance. Do this for your first week and the following week include an excess meal. From the end of the month that your eating habits will probably have shifted radically! Here is the best way to diet. Do not rush into a diet that's very different than your typical method of eating. That is difficult and only the most motivated and dedicated will triumph. Set this up so that even the laziest may triumph! Check out 5 foods video that you should be including in your daily diet to increase your energy, feel great and furthermore to help you lose weight.